During Israel Apartheid Week, Jewish students must realize there’s a difference in supporting a ‘partial boycott’ when in Israel or abroad. 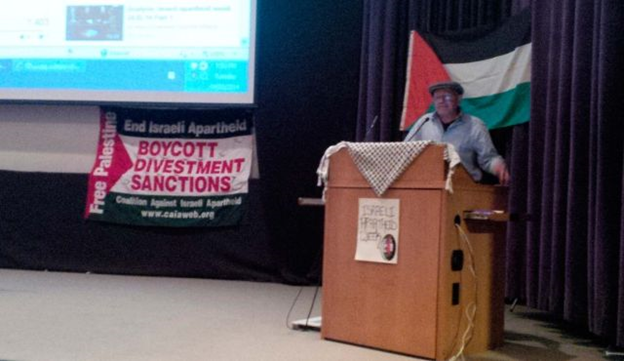 Israel Apartheid Week is currently underway in Toronto. This annual anti-Israel event originated here in 2005 and now exists in 130 cities worldwide, mainly on campuses, during February and March. In Israel, though, many of my progressive friends and colleagues see BDS in a much more positive light. To them, BDS is a useful ally in helping to end the occupation by bringing external, international pressure to bear on the Israeli government. 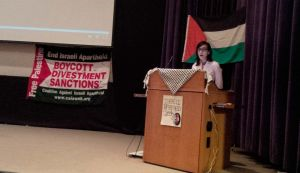 Some of these people began supporting BDS relatively recently in response to the so-called anti-boycott law of 2011, which they experienced as an assault on their freedom of speech. (Ironic that the Israeli right’s fear of BDS that created this law has brought about the opposite effect, and actually strengthened, rather than weakened, support for BDS on the Israeli left.) At present, thousands of Israelis support either “partial” boycotts (boycotts of institutions located, or goods produced, in the territories) or full boycotts of Israel. Two months ago, after posting a blog post on how to fight academic boycotts, I received a comment from a left-wing Israeli activist, saying that he opposes full academic boycotts but supports targeted (or partial) ones, for example, a boycott of the academic institution in Ariel. He also suggested that progressive Jews everywhere who oppose BDS must at the same time support partial boycotts, to express their opposition to the occupation. I gave this some serious thought, and concluded that what may work as a useful strategy for progressive Jews in Israel is not necessarily one that can be advocated by progressive Jews abroad. It comes down to context. Many non-Jews outside of Israel (the majority of whom, I’ve discovered, can’t even draw the Green Line on a map of Israel), don’t know the difference between Ariel and Ashdod, so if they are advised to engage in partial boycotts, they (unable to deal with the complexity of the situation) simply boycott Israel altogether. I’ve seen this time and time again with progressive people in Toronto. Furthermore, when progressive Israelis demonstrate, or take action, against the Israeli government, they can do so with the underlying assumption that everyone involved is committed to Israel’s existential survival and well-being, and believes that Israel – notwithstanding its flaws – has a basic right to exist. This assumption, unfortunately, is not necessarily shared by everyone outside Israel who opposes the occupation. Thus, carrying out the same action (such as a targeted boycott) outside of Israel takes on a different flavor and meaning. 2. Opposition to the occupation. So, when faced with Israel Apartheid Week, we, progressive Diaspora Jews, once again have to deal with a public exercise in Israel-bashing. Not an exercise in conveying simply a legitimate pro-Palestinian narrative, but one that conveys hatred for Israel, as well. As tens of thousands of Jewish university students around the globe are exposed to this experience during the current weeks-long cycle of IAW, many will have disturbing, painful experiences. Those of us who both love Israel and oppose the occupation have to find ways, especially during IAW, to communicate clearly and succinctly both key messages – support for Israel and opposition to the occupation – to Jewish and non-Jewish students alike, and to our societies at large. Only this kind of progressive, nuanced perspective can provide those opposing the occupation and tempted by BDS with a better alternative during these challenging weeks.